"More Combo and Counter Breaking Awaits in the 2nd Season, But Now in the Air!" The return of Killer Instinct last year has been a great success for Microsoft. Double Helix Games did an exceptional job bringing back to ultra comboing & combo breaking to the new generation of consoles. The game has also been a hit at fighting game tournaments such as Evo a couple months ago and MLG earlier this summer. Now that Double Helix is with Amazon, Iron Galaxy has been chosen to continue work on Killer Instinct, which is now on it’s second season. The season officially launches on October, but an early access period has started already if you bought the new $40 Ultra Edition digitally or Season 1 at retailers this week. Coming back to the game with new changes and characters has been similar to reuniting with an old friend. Iron Galaxy has turned Killer Instinct into a new game especially when playing at a higher level. Killer Instinct Season 2 is surprisingly analogous with Capcom’s Ultimate Marvel vs. Capcom 3. The vanilla versions had combo/counter breakers & X-Factor respectively while their current iteration allows them to perform these mechanics in the air. Yes, one of the big additions to Season 2 thanks to Iron Galaxy is the ability to combo break and counter break in the air. One of the concerns back in the first season was that certain juggle combos were unbreakable. Air combo breakers and counter breakers add another of mind games into the fold when attacking against your opponent. Iron Galaxy also changed some little things with the core mechanics such as shadow enders (EX moves) cashing out damage now, manual timing is the same for every character and meter gain is a bit slower than it used to be. It shows that Iron Galaxy is willing to throw their own spin to the game that Double Helix started and the changes so far has been worth it when playing. The existing cast of eight characters also has their fair share of balance changes and new moves for the new season. Jago’s instinct mode now lets you work to heal back health with his fireballs that fire twice hitting instead of automatically healing for a short period of time. Sabrewulf, while slightly nerfed, has Feral Cancels during his instinct. He can cancel out of any move Street Fighter IV FADC style into another one to continue pressure against opponents. Glacius’s new move is Liquidize, allowing him to evade moves as a puddle. Thunder can actually call a lightning projectile, which is useful when away with opponents since he is the “grappler” archetype of the game. Sadira doesn’t have her unbreakable combos anymore when in her instinct mode, but she can shadow web cling as an escape option now. Orchid is more dangerous with grenades that can damage and stun opponents making her better in terms of mixups and setups. Spinal’s fireballs are now color coded for those that couldn’t tell the difference if he is draining your shadow or instinct meter. Fulgore is arguably the most changed of the existing cast because his meter mechanic is overhauled. Instead of working to gain meter, his reactor gauge now gains slowly but it speeds up if he is on the offensive and slows down when using projectiles or getting hit. While some of the characters feel fundamentally the same in Season 2, others’ new tools make them have a completely different and fun playstyle. 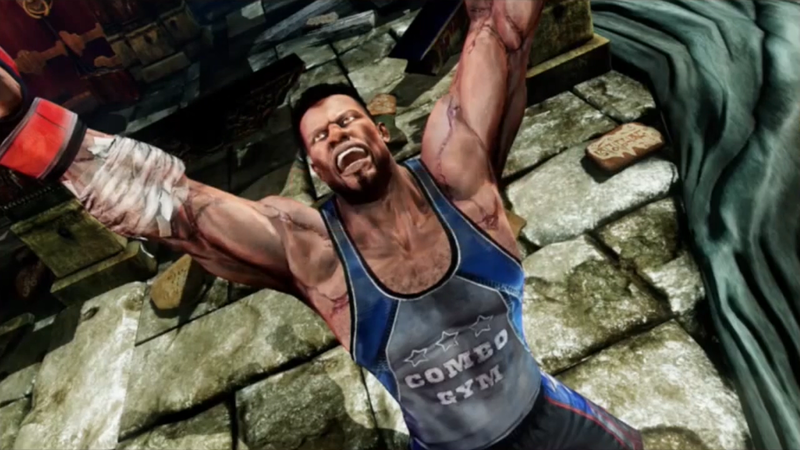 The only new character playable in Killer Instinct Season 2’s early access is TJ Combo. Unfortunately, his stage (pictured above) won’t be ready till the official launch and he is not playable in arcade mode as well as ranked online matches. Iron Galaxy can make little changes to him for October such as certain moves not being as good or too good along with bugs he’s causing. 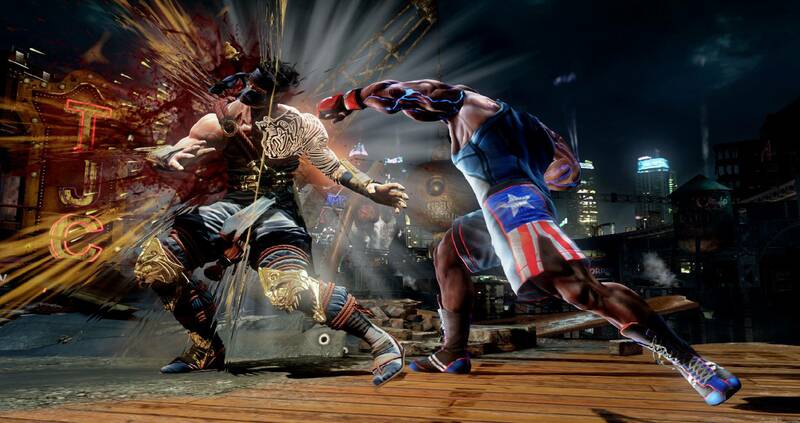 Killer Instinct’s signature boxer hits slow and hard in addition to the ability to close the distance easily against opponents. He also is the centerpoint for a new combo mechanic in this second season called recapture, where he can capture the opponents down from the air to continue ground combos with auto doubles or manuals. His instinct mode allows his attacks to be faster for the duration, but if the meter is saved when he is knocked out, he comes back UMvC3 Dark Phoenix style with a low amount of health. Put everything together and TJ is a fun fighter to play as and Iron Galaxy did a great job with him having a mix of old and new tricks at his disposal. I’m definitely maining him for now until Maya comes out next month. Speaking of Maya, she is the next playable character when the second season officially launches. If you missed the trailer last week and my quick thoughts, check it out here. Along with Maya, there will be a new UI menu for the game Iron Galaxy worked on and the awesome soundtrack is still being done by Mick Gordon, which a new Killer Cuts album should be out in the coming days or weeks. Other than some effects being slightly changed for the better, the game is mostly unchanged graphically. Just like the first season’s $40 Ultra Edition including the arcade version of the original Killer Instinct, Season 2’s $40 edition also includes the arcade version of Killer Instinct 2, once again done by Code Mystics. I personally had fond memories of playing this at a Las Vegas arcade back in the day and sucking. Killer Instinct 2 introduced Maya, Tusk and Kim Wu as well as lots of new gameplay mechanics for the time that were similarly implemented in the new iteration. While the original game lacked online play, Killer Instinct 2 Classic on Xbox One has that now. It still plays great and nice to have for nostalgic reasons. Killer Instinct fans that were worried that Iron Galaxy might mess too much with the formula that Double Helix established should worry no longer because Killer Instinct Season 2 is shaping up to be as good if not better with the new gameplay changes additions. They know what they’re doing if their past work on Divekick and Capcom arcade ports were any indication. Some of the characters like Orchid gotten way better because of her new grenade setups while Fulgore’s meter system got overhauled in a big way. TJ Combo is back and as fun as he was back in the original two games. The Early Access period is out now if you bought the game at retail or the new $40 Ultra Edition digitally that comes with the arcade version of Killer Instinct 2. It feels good to come back to one of my favorite games of the past year and excited to play it more seriously when the second season officially launches in October.